WPML lets you arrange languages in folders and domains. Learn how it works and find what’s best for you. You can choose to separate between languages using a language argument in the URL, in virtual folders or different domains (or sub-domains). Internally, all languages are saved in one WordPress database, but for visitors languages can appear to be in different sites. Languages in directories are easy to set up and are clear to both visitors and search engines. See what’s needed to use it. 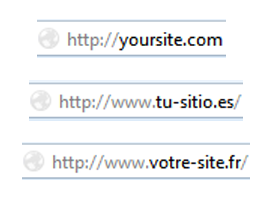 You can place different languages in different subdomains, or completely independent domains. Learn how to configure your DNS and web server to allow languages in domains. Want to display the default language in a directory too? 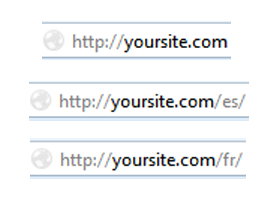 WPML lets you do this and allows you to select what to display in the site’s root URL.